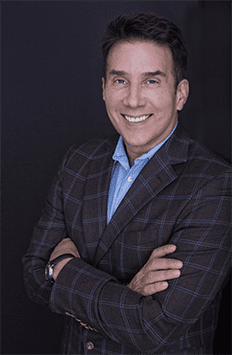 Henry Elder comes from a four generation of Los Angeles real estate professionals, yet he made his own way in the world when he got out of Pepperdine. He was going to go to law school and decided to go work for a hedge fund instead, and then pivoted again and went into the world of blockchain. The lessons he’s learned along the way starting his own company of surrounding yourself with people you trust as well as people who have complementary skill sets, and finally how he found a confidence at a very young age that made it contagious so that people would want to do deals with him is something you won’t want to miss. 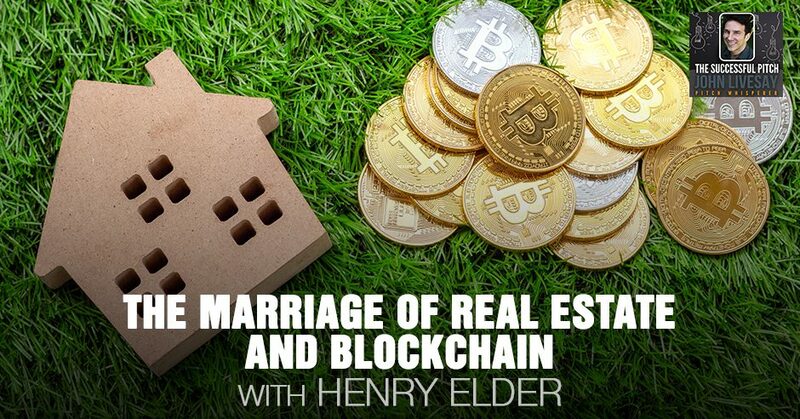 Henry delves into the blockchain technology and tokenized real estate, and talks about the concept of marriage between real estate and blockchain. Henry Elder is the guest on the podcast. He comes from a four generation of Los Angeles real estate professionals. He made his own way in the world when it got out of Pepperdine. He was going to go to law school and decided to go work for a hedge fund instead and then pivoted again and went into the world of blockchain. The lessons he’s learned along the way, starting his own company of surrounding yourself with people you trust as well as people who have complementary skill sets. Finally, how he found a confidence at a very young age that made it contagious, so the people would want to do deals with him is something you won’t want to miss. Our guest is Henry Elder who is also a friend of mine. He’s the Co-Founder of Digital Asset Advisors, which facilitates the tokenization of any asset including equity ownership. Henry and his team lend their deep experience across compliance, finance, tax, blockchain technology and most importantly to me, strategy to the clients around the world with projects that they currently have active on both coasts of the Middle East and Asia. An early client was Slice.Market which you might have heard of, one of the first platforms for tokenizing real estate in the US. Henry serves as Director of Origination and Investment there. Before that, he was involved with over $1 billion of domestic investments while working in real estate private equity and investment banking. He comes from four generations of Los Angeles real estate professionals. It’s rare enough to meet a native let alone someone who’s family’s been in the town that long. Welcome, Henry. Thank you. It’s great to be here. Thank you for having me. I want to ask you to go back to your own story of origin. If you don’t mind, take us back to what was it like with that history growing up in LA. Is it, “We’ve always been in real estate. It’s in your blood. You must go into this. You have no other choices,” or did you start going to open houses or going to commercial construction sites? Tell us a little bit about how that started and what impact that had. It was very much one of those, “This is in your blood,” type of things. My family has been in this industry for four generations. After four generations you see both the good and the bad. There have been incredible businesses built and fortunes made and poor decisions made that have brought a lot of turmoil back to a renaissance of sorts. You get to see all of these different ways that people can invest in real estate. The right way to do it, the wrong way to do it and how to deal with the interpersonal conflicts and various family members. It’s very applicable today since we’re going out to vote and it gives you a good idea of how politics works. Some of my earliest memories were visiting my father who ran the family company for a while, visiting him in his big office and being absolutely blown away. In my mind, he was a titan in the industry. I thought to myself I’m not the person who wants to spend five to eight years building a basis in one industry so that I can go into another one. I would rather go do the thing that I want to do. It was Thanksgiving and I was at a family event speaking with a cousin of mine who works in the hedge fund industry. I was telling him how I was struggling with this. I had taken the LSAT. I was applying to law schools. I was on the path towards committing myself to this. He shared with me that he had almost the exact same struggle where he had originally meant to be a lawyer and quickly found out that it was not quite what it was cracked up to be. He decided to explore something else and ended up working in a hedge fund. He recommended to me that I participate in their internship program. I did that and I applied for it. I got in. I moved to San Francisco for a few months. I worked at this hedge fund. It’s called ValueAct Capital. At the time that I was there, ValueAct was taking on Microsoft to reform the company and push out Steve Ballmer especially. I’m sitting there. I’m 23 years old. I’m fresh out of college. These guys are talking about strategies for bending a multibillion-dollar corporation to their will. I’m blown away. When I was five years old, my father seemed the absolute pinnacle of corporate professional achievement. Then here I am listening to these guys. I’m 23 years old and I’m like, “This is what I want to be.” I end up coming back to Los Angeles afterwards. I started looking for a job in finance. I’m absolutely smitten at this point. I end up working at a company called George Smith Partners which does real estate investment banking in Century City. I truly started my finance career in a professional capacity and I loved it. I was doing all these real estate deals all over the country. $200 million deals here in LA, $50 million deals in Dallas, $100 million deals in New York. From there I move onto a company called Latitude Real Estate Investors. That’s a large amount of money. Our audiences will be fascinated. You’re young and you’re closing deals in the $200 to $250 million range. What was your biggest surprise? Was it how easy it was or how complicated it was? What was your takeaway from doing those deals? It exposed something to me that I have struggled with my entire career. I walk into this place, green behind the ears, trying to figure out my place here. I’m working for one of the founders of the company, a guy named Gary Tenzer. He brought me on and he was like, “I need you to run deals for me. I need you to call these 50 people to get this deal signed up.” I was thinking to myself. “What value do I have to these people? How do I get my foot in the door? Why will they take up my call?” I was calling people and I was like, “I work on Gary Tenzer’s team. You have worked together before. Please answer my call. I have a deal you may want to look at.” Some people are picking up the line, but they’re treating me exactly the way that I introduced myself. Which is as someone who has no confidence in himself. It wasn’t until maybe four or five months in that I realized that any of these guys will pick up my call if I simply call them and tell them I have a deal. That’s all I need to do. I don’t need to qualify myself by saying, “I’m associated with this individual,” or “You’ve done business with someone I know.” All we need to do is call them and say, “I have a great deal. You’ll want to hear more about it. Here are some of the terms. Give me a call back when you have a second.” Once I started doing that and I was more confident in myself and the value that I had to offer, everyone treated me differently. My voicemails were returned, my emails were answered. As long as you portray yourself as a lackey, people who were trying to get business done don’t want to take the time to educate you on how business needs to be done. They want to get business done. If you portray yourself as someone who knows how to get business done and knows what their value-add is, people are likely to do business with you. There’s a great line of insight there that if you’re confident, then people want to do business with people that are confident. It’s that simple. Is there a big difference between closing a deal of $25 million versus $250 million or is it just a zero in your head? It’s just a zero. You may be calling different people. In terms of what the process, the types of due diligence that you need to do and the things that you need to know, it doesn’t change that much. Particularly in real estate, real estate is almost like professional sports. You can drill down each property into a series of numerical metrics. Those metrics are exactly the same across virtually every property. Every baseball player has a batting average and every basketball player has a field goal percentage. With real estate, it’s what’s the price per square foot? What’s the rent per square foot? What are the rental coms? If it’s a $200 million deal, those metrics are still the same. It’s a larger magnitude. Real estate is like sports and that it can be boiled down to a series of numbers. You have your batting average with baseball players, with basketball players they have their assists. With real estate, you have price per square foot and rental rates. Whether it’s a $200-million property or a $25-million property those numbers are the same because at the end of the day the way that you’re getting to that valuation is based on those same metrics. There might be more square feet right. There might be a higher rent but it’s still the same numbers. Real Estate And Blockchain: People don’t want to take the time to educate you on how business needs to be done right. They just want to get the business done. It’s still a mental game. There are some people that get so afraid, whether it’s their salary or a deal that you’ve got to stretch yourself outside of your comfort zone especially when you’re starting out or if you’re asking for investors to invest in your company. The difference between $1 million versus $10 million, if you’re not confident with it and what you’re going to do with the money then neither would the investors be. That’s a great lesson there. From there you moved to Latitude Real Estate Investors who you’re dealing with bridge debt. How different was that? It wasn’t too different. The biggest difference was that instead of being the party that brought all the other parties to the table, I was controlling one side of the table. We were bringing the actual capital to the deals, which was an interesting position to be in. If I was worried about the value that I was bringing at George Smith Partners, it’s not something you have to worry about when you’re representing a company that’s going to write a $40 million check. An analogy would be the difference between hosting a dinner party at a restaurant versus owning the restaurant and inviting people. Would that be close? You’re bringing in the cash and the people as opposed to putting people together. Once we had a deal under contract, if I picked up the phone and I asked for something, that thing would be delivered. If I called someone and I was like, “We have two days to get this done. I need it done within the next 48 hours,” it would get done within 48 hours. When you’re working to bridge debt fund, it’s a fairly commoditized product. When I was going out to brokers and property owners and trying to get them to use my product, I had to figure out how to sell it to them. That’s where the difficulty came from because that was the difference between me and the 50 other bridge debt lenders that we had out there. That was where I learned sales techniques. You figure out how to differentiate yourself from the rest of the competition. I was lucky in that regard for working at Latitude because it was extremely well-known. It had been around for sixteen years and it had been through a couple of cycles at that time. When I was going out and I was pitching to people, that was what I relied on. “We are like a grandfather of this industry. You can go put your faith in one of these new upstarts and then get left at the altar scrambling for a replacement or you can go with us. We’ve been around for this long because people believed in us, people trust us and because we don’t re-trade or drop deals.” We put out an application that is our solemn if not legal promise that we will fund this deal. I thought to myself, “Four generations of real estate. I’m doing well on my own.” I made it a point of mine not to rely on the family connections to build my own real estate career. Here I was at Latitude nothing to do with the family company. Nothing I had done previously had anything to do with family companies. I’m feeling pretty proud of myself. My then girlfriend and now fiancé was working at a company called Gem. Gem is here in Venice and they build enterprise blockchain applications. Through her, I was getting introduced to all of these people in the blockchain space. One of those people was this gentleman by the name was David Bailey. I met David Bailey the owner of Bitcoin Magazine who was dating my fiancé’s roommate at the time. David was the complete opposite of the buttoned-up, very conservative real estate people, who I had been interfacing with to that point. David was all about Bitcoin. He was very much a Bitcoin maximalist. At first, his appearance and demeanor and all of that seemed exactly what I would associate with someone who was interested in Bitcoin. At that time, it was somewhat fringe and I don’t think anybody from real estate thought that it was something to be taken seriously. Over time listening to David talk about Bitcoin and the blockchain industry as a whole, I started to become more and more interested in it. In December 2016, we spent New Year’s with David and Emily in Nashville. I think of that as my blockchain baptism. It was four days of concentrated look at what exactly was going on behind the scenes in the blockchain world. It gave me a very early look at what was going on in the ICO’s space. When I came back to Los Angeles, I quickly realized that this created a new capital market. That new capital market would provide new sources of funding for any business venture. I also realized quite quickly that this new capital market would need to be regulated. When I came back to Los Angeles, I started exploring how to tap this capital market to raise a real estate fund specifically because that’s what my expertise was. I called two friends of mine, Paul Monsen who I worked with at the investment bank and Mark Rutter who is one of my oldest friends and is a moderating influence. 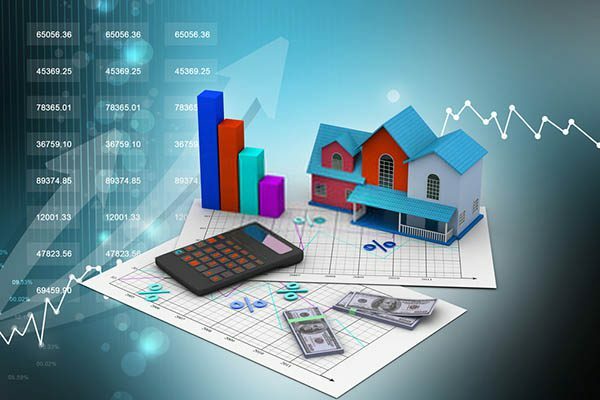 Real Estate And Blockchain: Real estate is almost like professional sports that you can drill down each property into a series of numerical metrics. Paul is like an absolute steam engine. If you get him excited about an idea, he will make it a reality. Mark is very cerebral. He’s absolutely brilliant. He’s a lawyer. I knew that if I took an idea to him and if he got excited about it then that was a good indication that that idea had some serious legs. Mark and Paul got excited about it. We started putting together a team to explore how we could compliantly tap this capital market. At the same time, we started hosting Meetups in Los Angeles called The Blockchain Hideout to educate people on this technology. Also, to take the crowd’s temperature on securities and regulation in this market. Blockchain Capital did their raise in March of 2017. That was the first regulated compliance security token. Nobody seemed to care. ICO mainly started taking off. Everybody was raising $10 million to $100 million in ten minutes. That was all that anybody cared about. We were having these meetups. We were telling people this company did compliantly. This is probably the model going forward for these. A lot of these ICOs are being conducted in a non-compliant manner. People did not like hearing that. We would get shouted down. We would have people stormed out of the meetups in anger. In October and November, Science Blockchain did their raise and fell somewhat short of the dollar amount that they been targeting. That indicated to us that this concept, although we think it’s interesting and it is the future is not quite ready for prime time. Neither the investor demand nor the community acceptance for security tokens exists yet in a mature form. We showed our idea, but at the same time, we were absolutely bitten by the blockchain bug. Paul and I started Digital Asset Advisors and said, “We love real estate. We’re good at it. There is an entire world of other stuff out there that we can take part in and make a true impact in the formation of an entirely new industry.” With that, we entered the space and our first client was Slice, which was building a platform for tokenizing real estate. Specifically, commercial real estate, specifically for sale to international investors. One of the greatest and original use for the blockchain is the ability to transact large or small value amounts internationally across borders with very little friction. This lends itself incredibly well to commercial real estate because assets here in the United States are very desirable. However, they are not easy for international investors to access. When you have a situation where the majority of wealth sits offshore, but the majority of desirable investable assets sits onshore. If you can create a pipeline to facilitate the frictionless investment of that wealth into those assets, then that’s a winning business case right there. If I’m to sum up the problem you’re solving at Digital Asset Advisors, it is simply that there’s a lot of wealth overseas that wants to invest in commercial real estate in the US. There are regulations preventing them from easily doing it. It also typically requires huge amounts of money. By using blocking technology, you create this almost like an oil pipeline that takes something from one location to the other and allows it to be fractionalized. It allows people to invest in an asset. In this case Slice is offering commercial real estate that’s never been available before and certainly not in small chunks. That’s what Slice is doing. I should carefully bifurcate Slice and Digital Asset Advisors. You helped craft this. It’s the problem you saw, but they’re not the only ones with this problem. What you bring to Slice is the understanding of real estate and blockchain combined. Real Estate And Blockchain: One of the greatest and original use cases for the blockchain is the ability to transact large or small value amounts internationally across borders with very little friction. For Slice, yes. We started working with Slice when it was just the two co-founders. They brought on a third co-founder long after we were working with Slice. We worked with Slice exclusively for five months, helping them build their platform. We were helping them figure out the thorny issues of allowing access to foreign investors because there’re tax and regulatory burdens that come with bringing in foreign investors. We need to figure out how to solve that. We were helping them find a pipeline of real estate to bring to the platform, creating due diligence processes that institutional investors would appreciate, investment memos and underwriting models. In that case, our real estate experience was immediately applicable. Real estate is not the only industry that will be impacted by blockchain. 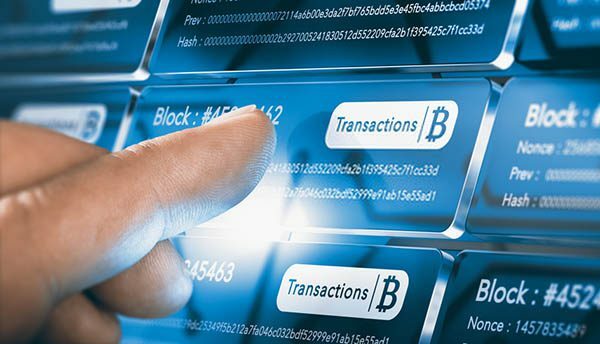 Our basic knowledge of finance, economics, blockchain technology and the network that we have built out was applicable across multiple industries and clients. We had the benefit of having worked with Slice and created this high profile and survived for long enough because there was a shakeout of service providers in the spring of 2018. In the summer of 2018 and fall all the sudden all these people who we been in contact with and all these companies that we were talking to at conferences wanted our help as well. In the winter of 2017 and the winter of 2018, we would go to conferences and they would be absolutely full of people. Every other person you met was some sort of a service provider saying that they could do this and they could do that. By the summer of 2018, you’re going to conferences and none of those people were there anymore. All that’s left were the people who are doing things. Us sticking around long enough and working on a high-quality project like Slice gave us the legitimacy. Where when we went to people when we were like, “You have a problem, we can solve it.” They will believe us off the bat. We went around and we signed up three or four additional clients in completely unrelated industries. 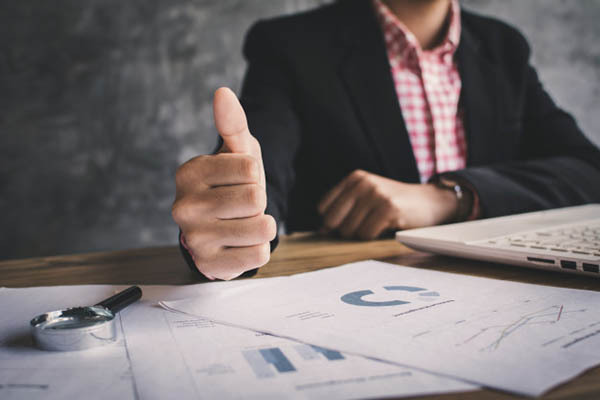 Each one of those we’ve been able to apply our knowledge and our skill sets to help them effectuate their business plans. Even to help them put together a legitimate business plan. There are so many good ideas out there for uses of blockchain technology, but there are a lot of people who don’t have the experience of running a company. They don’t understand financials or they don’t understand what a business financial should look like. While they have an idea of how they can apply blockchain technologies, they don’t know who the best partner is to build the technology or which protocol they should be building on that can utilize their idea of the best. Our position in the middle of all of these different service providers because we work with the issuance platform. We work with the security lawyers. We work with the broker-dealers. We work with the protocols. We work with tech firms. The different disparate parts that you either pull together in order to successfully execute an asset tokenization or a security token offering, we know them all. We can shepherd anyone of these clients through that process and introduce them to the different players and the different service providers and say, “For what you’re trying to do this is the best guy, but these guys are also very good. This is the pros and cons of each one. Let’s sit down with each one of them. We’ll walk you through the platforms and then you decide. We’ll run that process for them because we already have a relationship with all these different guys. That’s like curating three different businesses. The technology, the protocols, the compliance, the tax implications and the business model. If you’re maybe good at two, but not all three of those things where you need somebody else who’s done it before to say, “Use GoChain versus ERC20.” All those in the weeds kinds of questions that you have to decide while managing the compliance issues and all the other things to make an asset-backed token. It can get overwhelming even if someone’s got a lot of business experience to try and figure it out by yourself. To me, the real value you bring is relationship, insights and curation which saves time, which gets you to market faster. That’s how I connect the dots of the real outcome of what working with you looks like. If you punch in security token issuance platform in Google, you’ll see twenty different platforms. How do you know which ones are legitimate, which ones have done an issuance and which ones can perform what they say they can? We know that. That’s something that we’re facilitating some of the issuances that they’re doing. We know who’s doing what. We consider ourselves like the guide to this world. You want to understand it, you want to be a player, you want to know how to do it, we’ll help you with all of that. I think of you as a Sherpa helping people climb Mount Everest. What last piece of advice would you have for someone who wants to get involved in the blockchain, make a career change. If they say, “I want to get into asset back tokens and still have people excited about it.” They may not have the volatility of a Bitcoin but there’s still some upside. What insights and advice do you have for the industry in general? My big takeaway would be twofold. Surround yourself with people that you absolutely innately trust. Make sure that those people compliment your skill sets. Open up your point of view so that you don’t end of the tunnel vision. Also, this industry is so full of data. It’s changing at such a rapid pace that newbies who are coming into it, it’s quite easy to be overwhelmed by it. When you have a good idea and you’re bringing it to the market, there are a lot of people who will tell you that it’s a bad idea. They’ll shoot it down with a bunch of stuff that you may not understand. In an industry as fast moving as this one, it’s like drinking from three fire hoses. It’s quite easy for somebody to shoot down any idea. If you stick to your guns and you find someone who also supports you and believes you that it’s a good idea, don’t be overwhelmed but don’t be intimidated by the naysayers. You went through that yourself when you and Paul were starting your own little meetup group. People are like, “What compliance? Get out of here. We don’t care about that.” You’ve lived it and you’re walking your talk. I can’t thank you enough for sharing your journey. You are certainly on an exciting trajectory. You have long since proven yourself separate from your family’s business especially by jumping into the blockchain, not just the real estate but in other areas. It’s going to be fun to watch where you go and which companies are fortunate enough to get to work with you. Thank you, John. It was a pleasure to be on here.